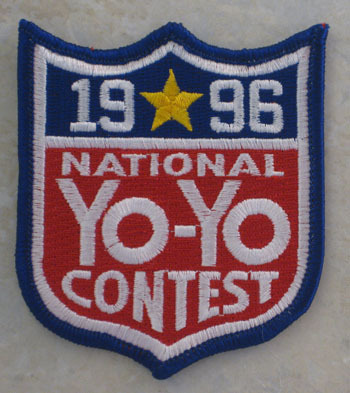 This is the small version of the 1996 National Yo-Yo Contest held in Chico, CA in October. This version was made in addition to the original version to make the various years patches alike. See "1996 Round Nationals Patch" for original version.